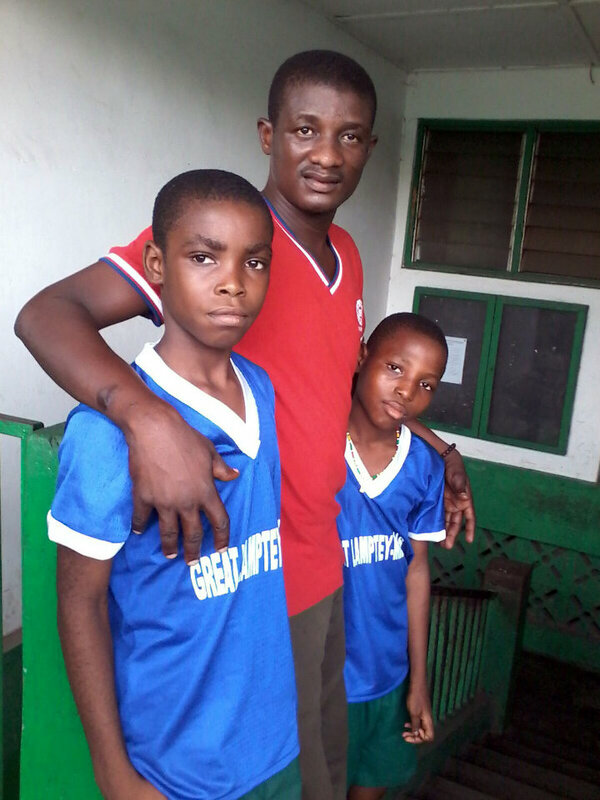 Two of the children we sponsor, Elvis and Solomon, with our on-the-ground support, Darry. Solomon in his school uniform. He has been scoring very well at school! Solomon on the dumpsite before TFI began supporting him. 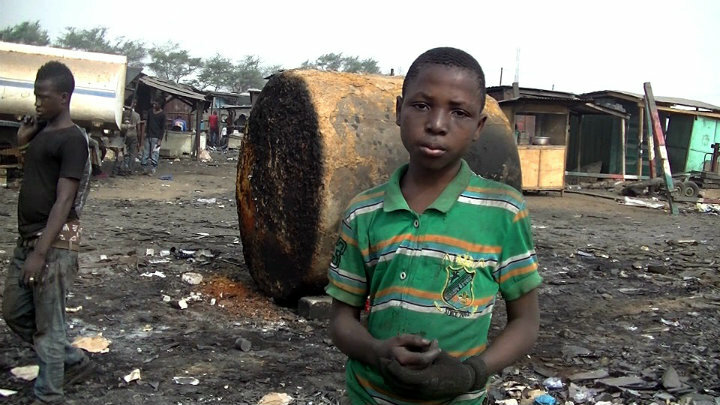 He was working to find and sell scraps in order to raise money for his school fees. 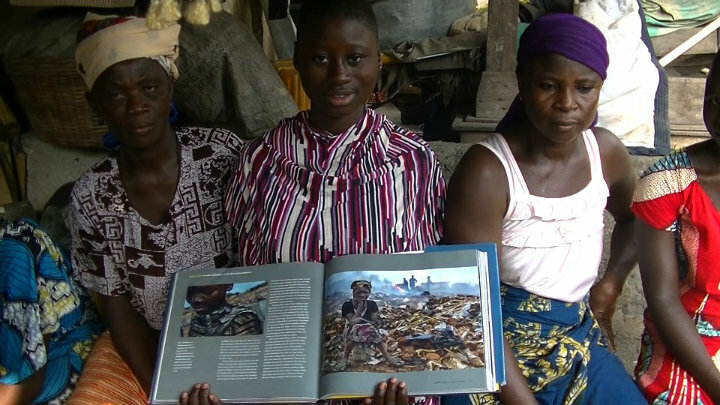 Ayisha with her photo from our book, Living on a Dollar a Day. We discovered her in the making of this book at the dump site. 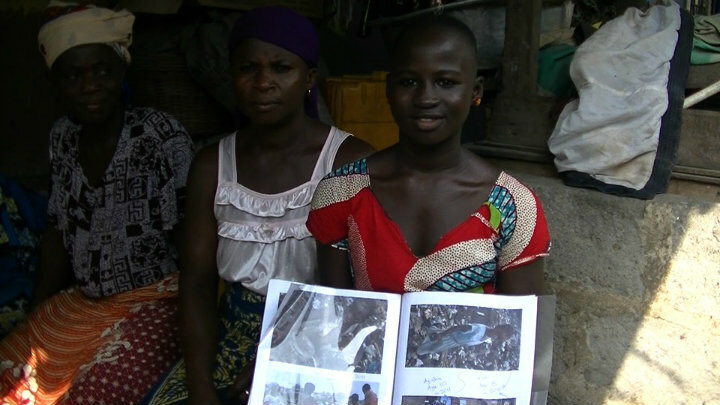 Fati with her photo working at the dump site, featured in Living on a Dollar a Day. Asana with her photo from our research of the dump site for Living on a Dollar a Day. In 2011, TFI sent a team to Ghana to document how people survive on less than a dollar a day. In the capital of Accra, they came to a dumpsite comprised largely of electronic waste. The extreme poverty in this area means that people try to earn their living by sifting through the refuse to try to recycle valuable metals. It is dangerous and toxic work, and especially hazardous for children. Two of the three girls we initially sponsored were featured in our book, Living on a Dollar a Day. At the behest of a donor, who was moved by the photographs and offered to sponsor the trip in January 2014, TFI sent another volunteer to Accra to find the girls again with only the photos from our book. Our volunteer did so with the same local guide who originally helped our photographer. In addition, he (volunteer) spoke to the girls’ moms and told them of our offer to pay for their daughters’ tuition and boarding fees if they wanted to go to school. While they didn’t know what to think of all this at first, they ultimately agreed and the girls started school the following month. 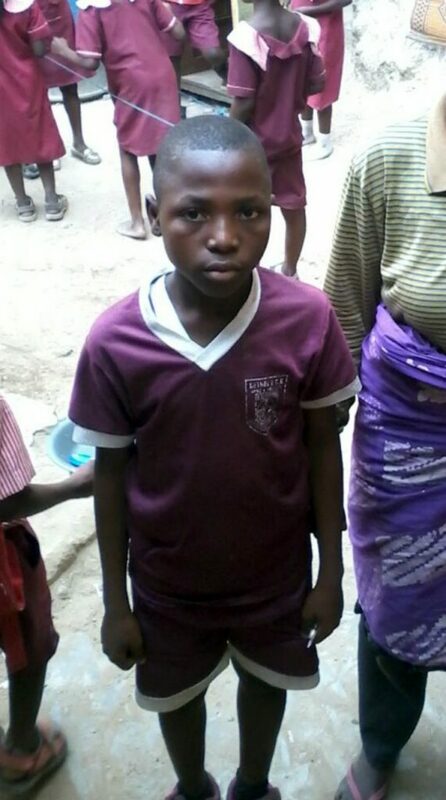 We eventually came to sponsor a young boy from the dumpsite, and in addition gave our support to another boy who was already at the school but was in danger of being kicked out because of his mother’s inability to pay required fees. On a follow up visit in 2015, TFI spent time with the teachers, the headmaster, our students and their moms. All of our sponsored students have stayed in school and have performed well. We are presently exploring the idea of moving them to a new school where we hope they continue to be successful. To donate specifically to our Sponsored Children, please note “Sponsored Kids Ghana” in the comments box.